In the true spirit of the Texas Cowboy, lying next to the Brazos River, there is a residential community known as Valley Lodge. Valley Lodge is a truly unique community. Located just west of Katy, near Fulsher, Valley Lodge is country living, in a residential atmosphere. 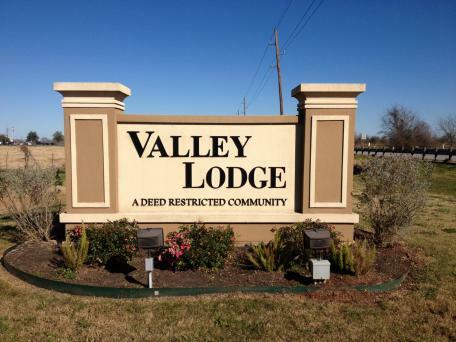 Valley Lodge is the largest subdivision in Simonton, Texas. The community was developed in the late 1950’s. It is said that the “rich city folk” established the community as a weekend getaway. They built their elite Ranch Homes, and stabled their horses there. Today, Valley Lodge is home to over 220 families, nestled on over 600 acres of property. Great neighbors, in a quiet country atmosphere. You will not find a community that has so many wonderful and gracious people anywhere else. So much history, so much character,so close. A big “hats off” and “thank you” to all the volunteers who make Valley Lodge a wonderful community to call home.